Loyalty programs at convenience stores have come a long way from where they were 15 years ago. 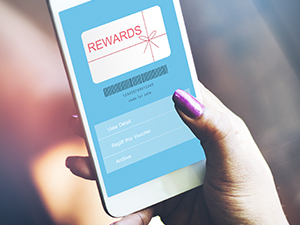 Back then, data was limited, and retailers wondered if a loyalty rewards program would actually help them make money or if it was just a giveaway. Among the challenges c-stores are facing are declining visits. According to the 2017 NACS State of the Industry Report, consumer trips to c-stores have dropped 28 percent since 2014, equaling one full trip per week a consumer is not visiting a c-store. Another traffic hurdle is a digitally savvy young generation that is not particularly loyal and insists on being marketed to directly. One retailer to emulate is the c-store giant Speedway. “Their loyalty program has probably been around the longest, but they continue to evolve it in a way that leads the market,” Jefferson says. Speedway has become targeted in the way it segments the customer population and provides rewards to different customers based on their preferences, according to Jefferson. The nation’s second largest chain of corporate-owned c-stores uses personalization—providing a reward for a customer on their birthday or when they sign up to participate in the program—along with time and day offers that track customers’ behavior within the store and at particular times. Moving forward, there is a major opportunity to leverage the data that is being generated from the loyalty programs, Mize and Jefferson say. “Critical is the integration between back office ERP and loyalty technology,” Mize says. Many retailers want to have loyalty programs but don’t have a strategy in place to use the data, Jefferson says. “Most use the data for basic transactional accounting—to track what they are spending. But the ability to monetize data with vendors and CPG [Consumer Packaged Goods] vendors is a huge opportunity given the products sold,” he says.